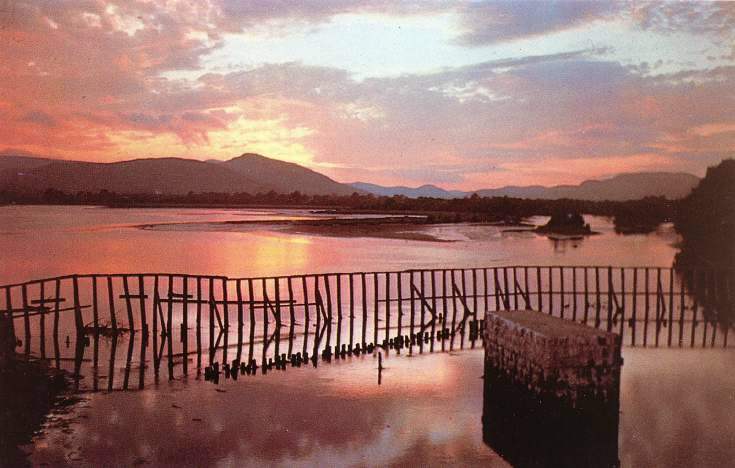 Colour postcard taken from the Mound, showing a pier which formerly carried the railway bridge, and the wooden railing used to protect the sluice gates from floating debris and ice. Brilliant postcard, is it available as a post card? Sadly we do not have this view as a postcard.